Anthony Fairweather is a partner in the private client team specialising in Court of Protection and elderly care advice. Anthony’s expertise includes working with families, case managers and local authorities to ensure that the financial affairs of family members who cannot manage their own finances are properly managed. 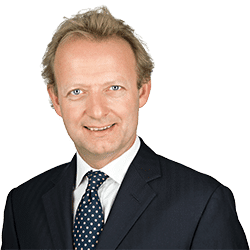 Anthony joined Clarke Willmott LLP in 1998 after qualifying as a barrister. He is now dual qualified as a solicitor as well. Anthony is ranked in the Legal 500 and Chambers Directory. He is a Court of Protection panel deputy in Bristol and Somerset. He has undertaken the CF8 qualification in Long Term Care, is a full member of Society of Trust & Estate Practitioners and Solicitors for the Elderly and is an assistant deputy coroner for Avon. Acting as deputy or assisting a family deputy where a family member has lost the mental capacity to manage their own financial affairs i.e. resolving care fee funding, implementing care packages or assisting with the running day to day financial affairs. Advice often to assist elderly clients or individuals injured in an accident. Applications to the Court of Protection to implement inheritance tax planning, make gifts or put in place a statutory will. Advising on the responsibilities of the NHS and local authority in relation to care. Providing representation in disputed Court of Protection applications.